Shoei X-Spirit III Helmet? Now with Free Extra Visor! 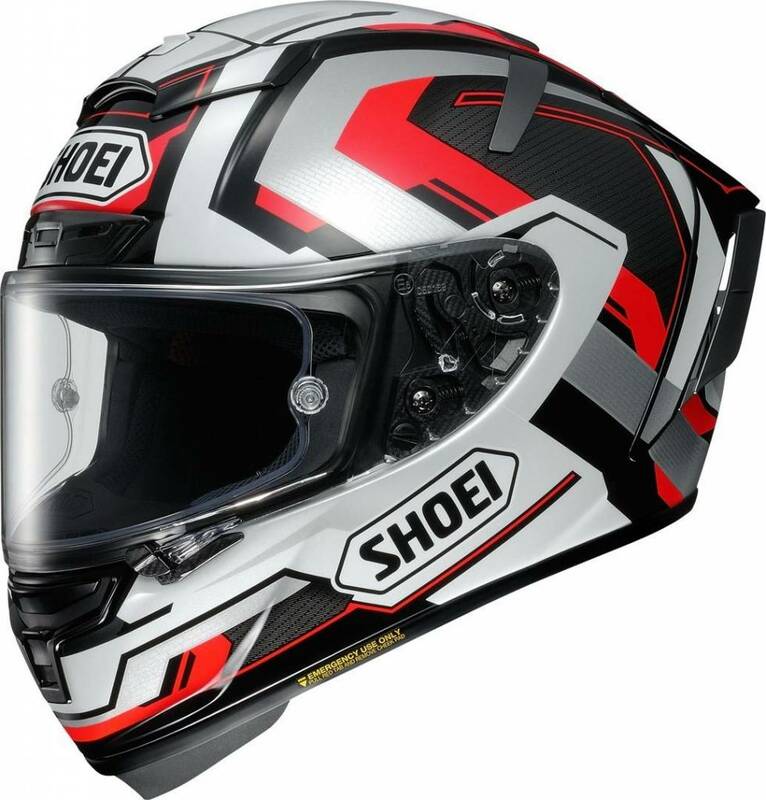 Buy your Shoei X-Spirit III Helmet in our shop and get: ✓Best price ✓Free shipping ✓5% Cashback ✓Fast delivery ✓Order now! Scroll down and use the product bundle get a Free Additional Visor! 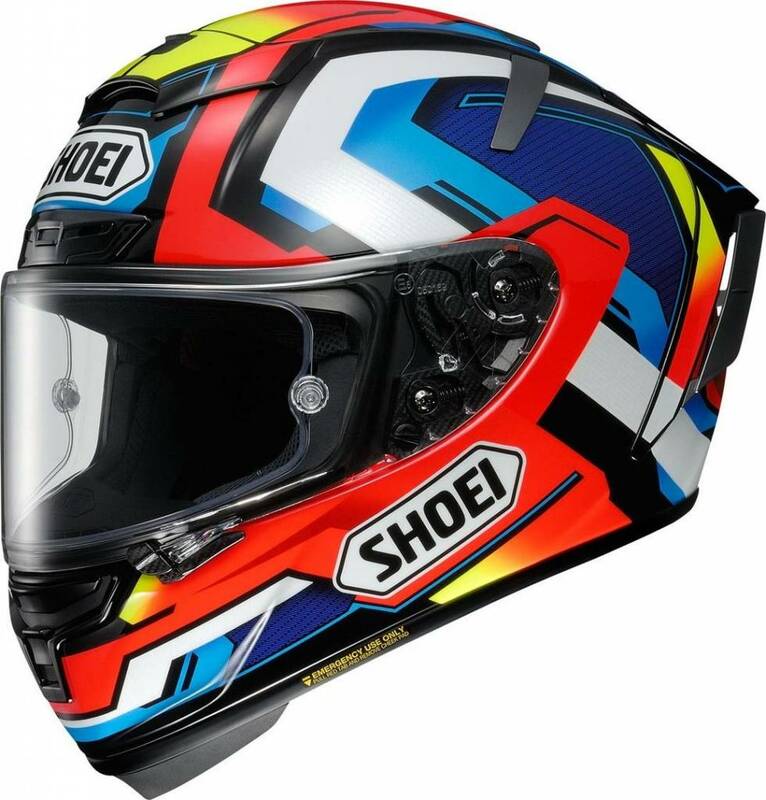 Buy the Shoei X-Spirit III Marquez5 TC-1 Helmet in our Online Shop and get ✓Best price ✓Free shipping ✓5% Cashback ✓Fast delivery ✓Order now! Scroll down and use the product bundle get a Free Additional Visor! 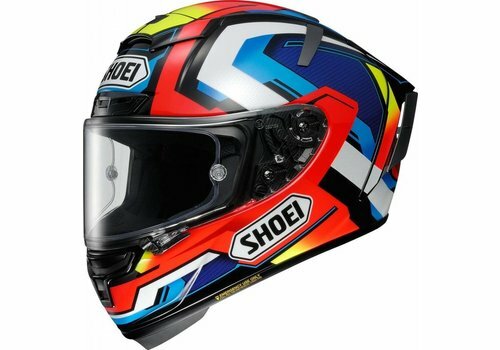 Buy the Shoei X-Spirit III Marquez Black Concept TC-1 Helmet in our Online Shop and get ✓Best price ✓Free shipping ✓5% Cashback ✓Fast delivery ✓Order now! ✓The best price ✓free shipping ✓Top brands ✓quick delivery ✓Order now! 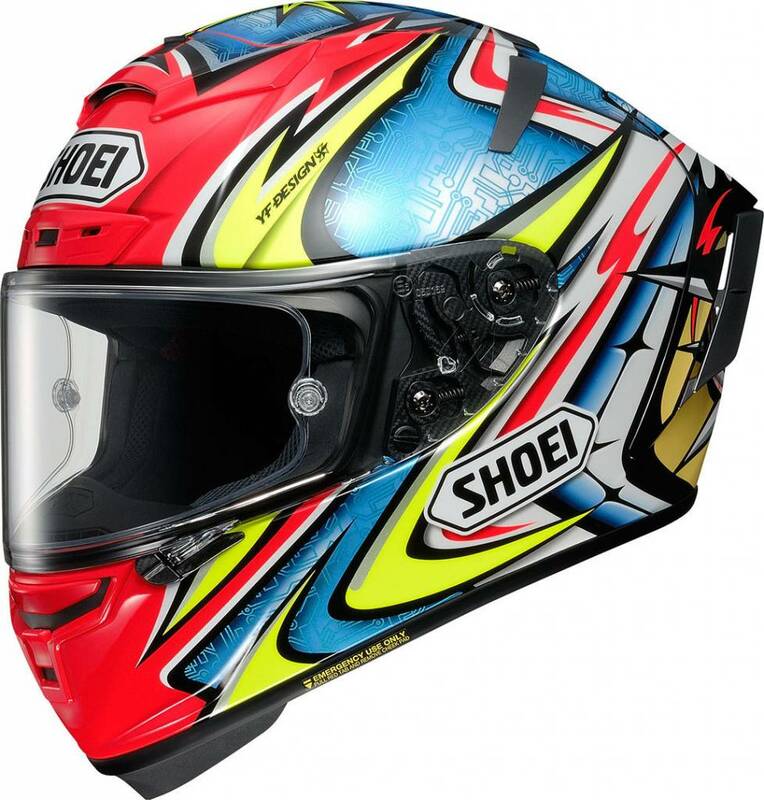 The Shoei X-Spirit 3 helmet targets track enthusiasts and sportbike riders that want a high-end Full-Face helmet. 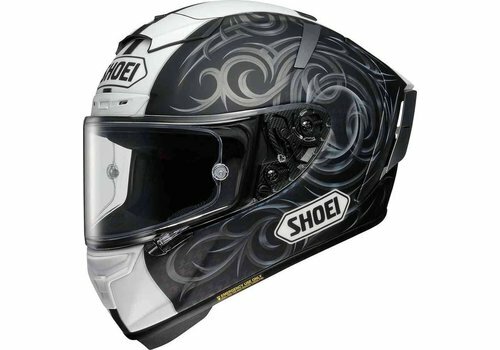 The starting point for Shoei was that they had to improve the original X-Spirit 2 which was one of leading models amongst luxurious full-face helmets. So they took rider feedback from across the globe and translated that into high quality Japanese manufacturing. And that comes with a price tag. 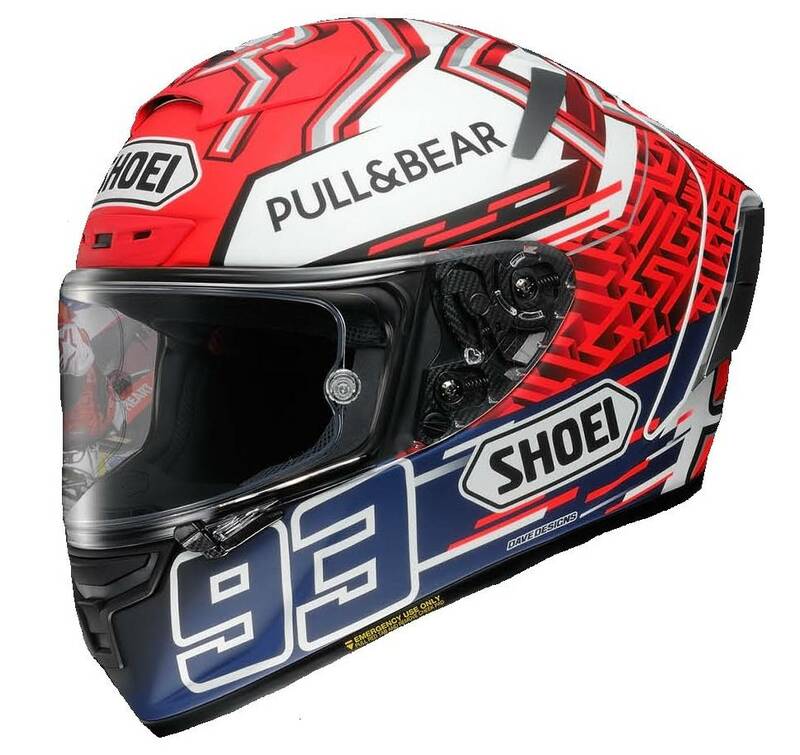 This model is being worn by none other than 7-time motoGP World Champion Marc Marquez. 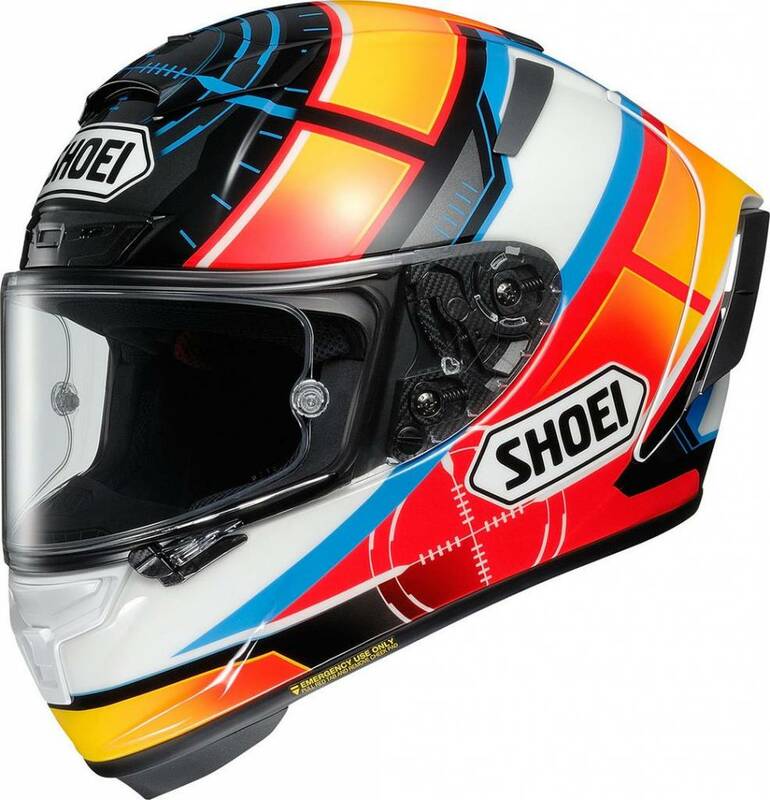 Shoei co-developed this helmet with Marquez's requirements into consideration and this resulted in developing the ultimate racing helmet. The x-spirit III has been designed for high-performance use and they gave everything to reach maximum safety. The x-spirit has been tested in the Shoei's wind tunnel to measure how the helmet behaves at high speeds. 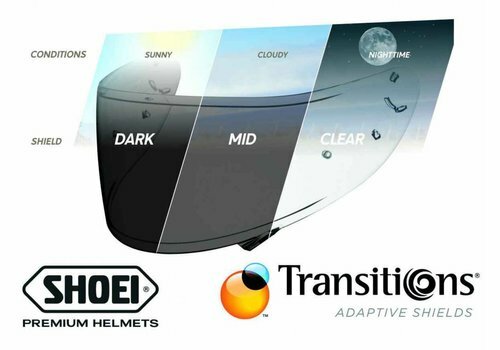 And the stability of the helmet at high speeds has become even better than its predecessor. The x-spirit III has a new cheek vent system. 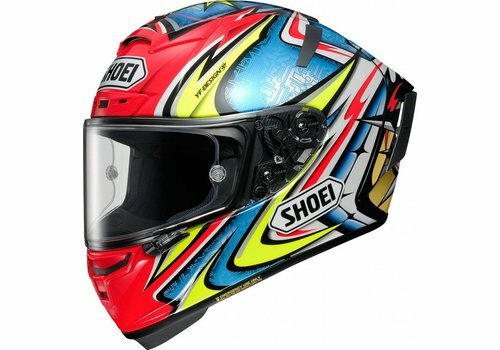 This system is a noticeable difference between the new and old X-Spirit 2 helmet. 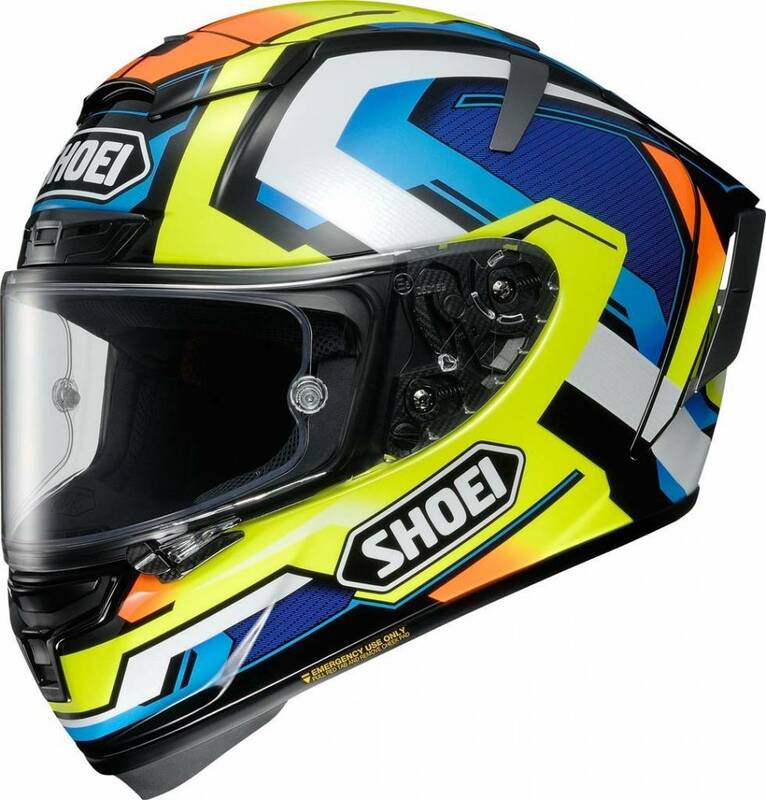 It ventilates the lower side of the helmet and has airflow enter the helmet from the chin side, in addition to the top ventilation, to keep the whole head cool. They brought it down on the helmet to reach a more streamlined aerodynamic design. They also improved the rear spoiler. It is designed to let loose in case of an accident. The rear spoiler is an important part of the aerodynamically streamlined design. It will be quite hard to find a competitor that has the same quality features and benefits as the X-Spirit 3 but they are there. One of the most mentioned helmets when you do research is the AGV Pista GP R Helmet. 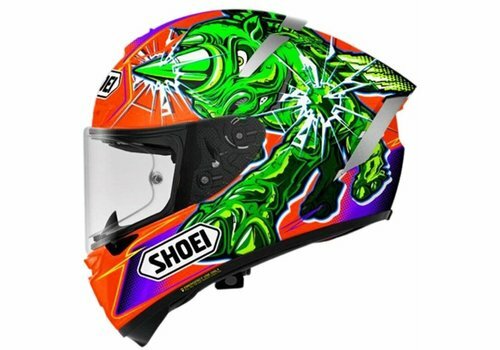 This is a pure racing helmet that was made for the track. Also developed with MotoGP Legend Valentino Rossi. We at Champion helmets believe this helmet is a little stronger on design and offers a little less qualitative inner liner and ventilation. 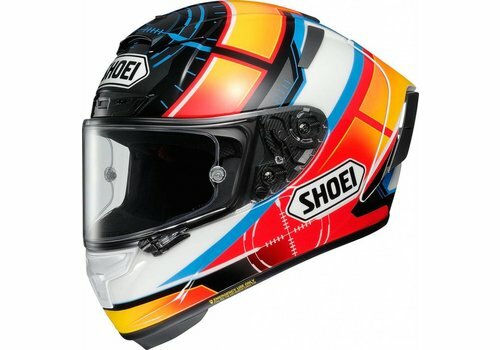 We do agree this is probably the closest any racing helmet will approach the X-Spirit 3. 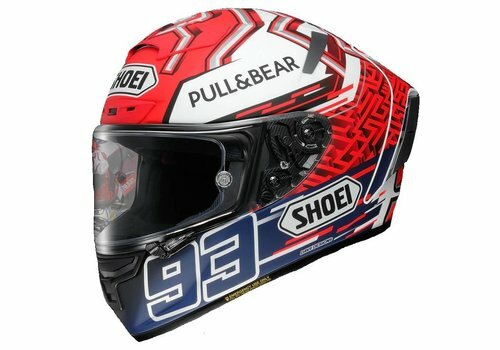 Aside from the two racing helmets there is a gap to the other high-end Full-Face helmets available out there. 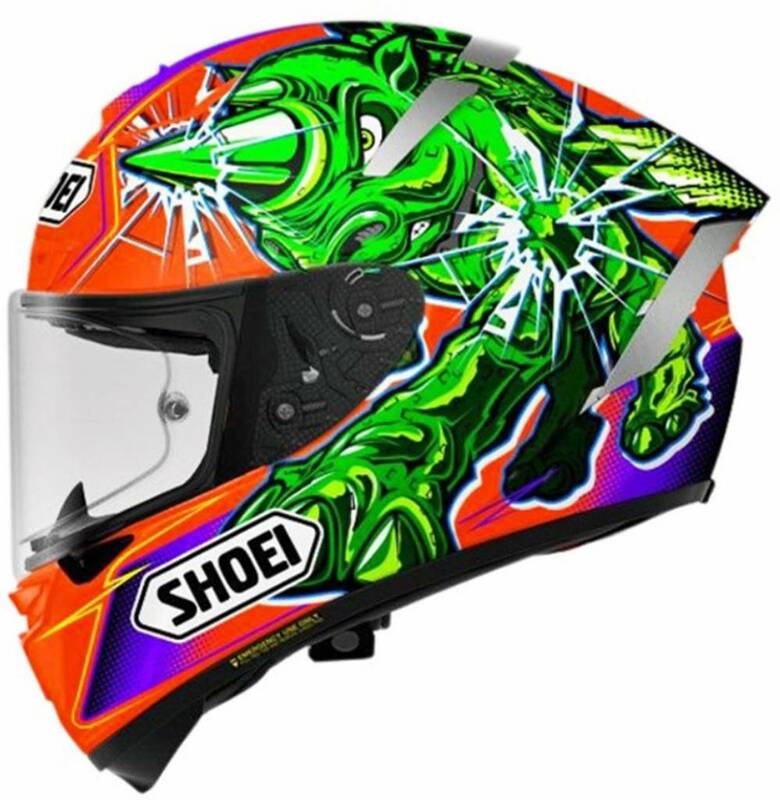 Other high-end sports helmets that are more affordable and will probably give you great bang for the buck are HJC RPHA 11 and the Shark Race R Pro Carbon. 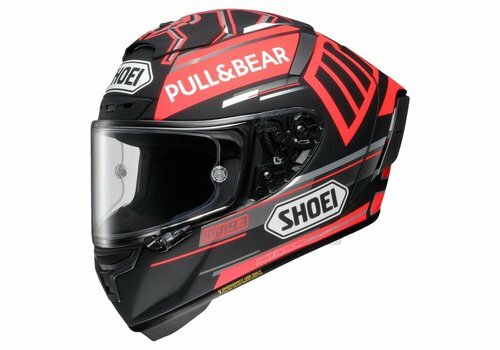 These helmets will give you a taste of the XSpirit3 and the PistaGP but you will pay almost half the price and still get high quality features. Wearing them both will really show the difference. The big difference is that the top 2 will give you those high-end features in a very well developed and luxurious execution. 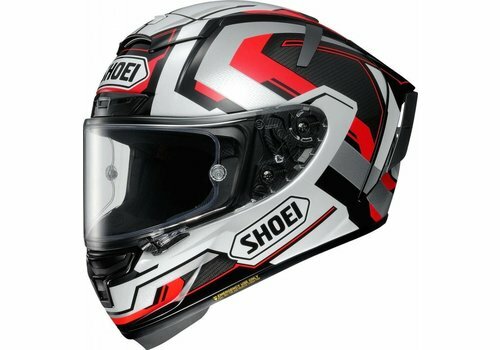 The outer shell of the x-spirit III consists of the AIM+, developed by Shoei themselves. This is a highly developed fiberglass composite with different layers. It has the property that the shell has an ultimate stiffness and is shock-absorbing. The inner lining can be easily and quickly removed in case of emergency with the Emergency Quick Release System. The helmet is equipped with a double-D closure. The EPS liner has different densities to optimally absorb the impact. The CWR-F visor that comes with the Xspirit III also comes with a Pinlock anti-fog Lens. 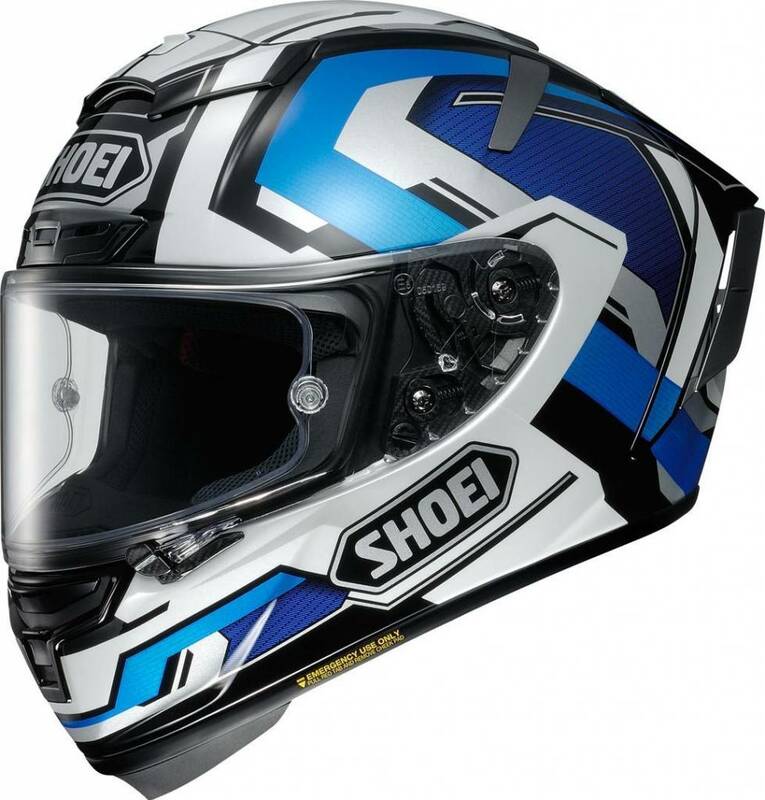 Ventilation is extremely important for high-performance racing helmet. Flying around the track at high speeds demands a lot of focus from the rider. This can only be maintained if the head is being kept cool. With this in mind, the Japanese made the X-Spirit 3 offer the ultimate ventilation. They devided the top and lower end of the helmet into segments that they cool separately. For the ultimate ventilation system, the X-spirit III has 6 air inlets that can be closed and 6 air outlets. 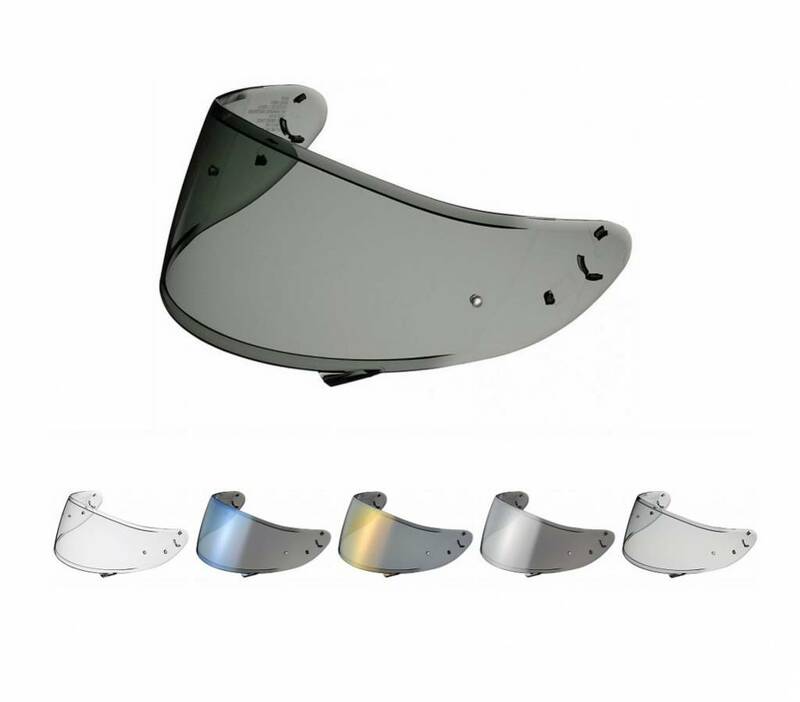 In addition, it has a renewed cheek ventilation, where air openings are made in the cheek pads that spread the airflow from the chin opening over the face. This cooling in the bottom of the helmet gives a lot of comfort while driving. The quality of the ventilation of the X-Spirit III is unprecedented. This is probably one of the points where it excels and beats all the competition out there. 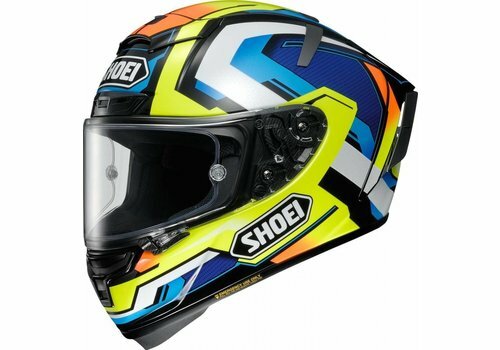 The aerodynamic design has been developed by testing in Shoei's wind tunnel. They have tried to minimize the lift and pressure on the X-spirit III. They have reduced the lift by 3% and the pressure by 10% compared to the original x-Spirit 2. The X-spirit III is therefore extremely stable. 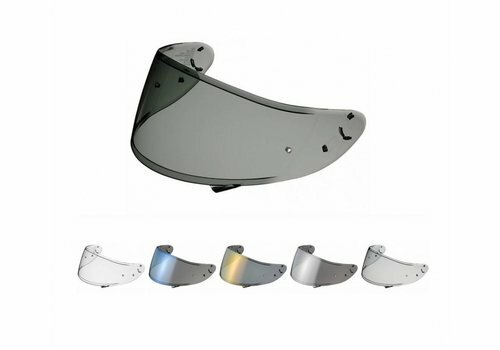 The visor is equipped with VORTEX generators on both sides of the visor and this also provides less lift and pressure. The spoiler at the rear reduces vibrations and motion up to 50% compared to the x-spirit II. The spoiler can be replaced to larger or smaller depending on the riding conditions. The 2D CWR-F pinlock visor is standard. 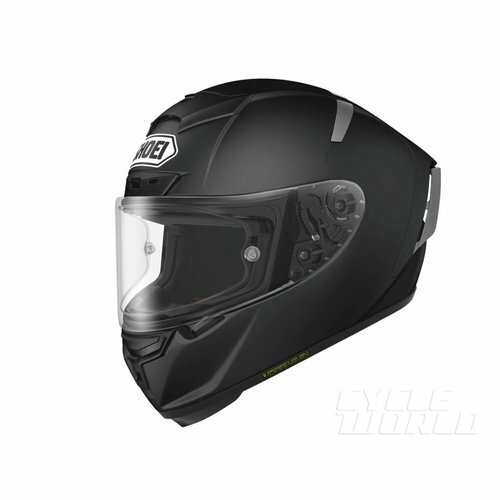 What is very special about the X-spirit III is that the visor falls into the helmet when closed, instead of on it. 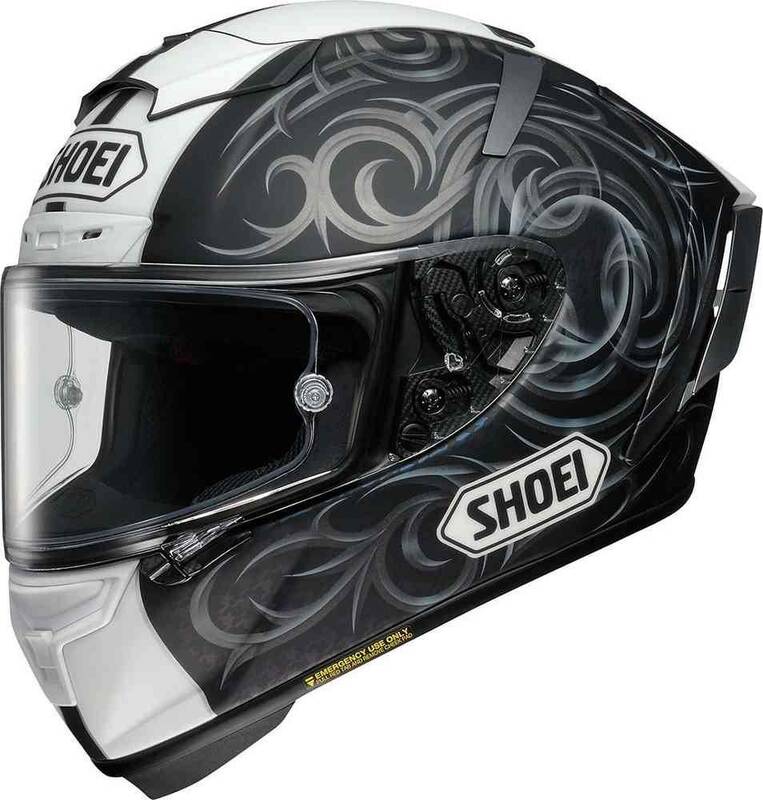 This creates a seamless design and void any wind or noise entering the helmet from this part. The visor mechanism is very well developed. At Champion Helmets we believe that the visor mechanism on the X-Spirit is more sophisticated than any other Full-Face helmet we came across. When holding it in your hand, and comparing it for example to the PistaGP mechanism, the difference is easily visible. This mechanism makes the helmet really stand out. The visor is equipped with VORTEX generators on both sides of the visor. The fully removable, moisture-regulating, antibacterial, washable lining can be adjusted to the personal preference of the rider. 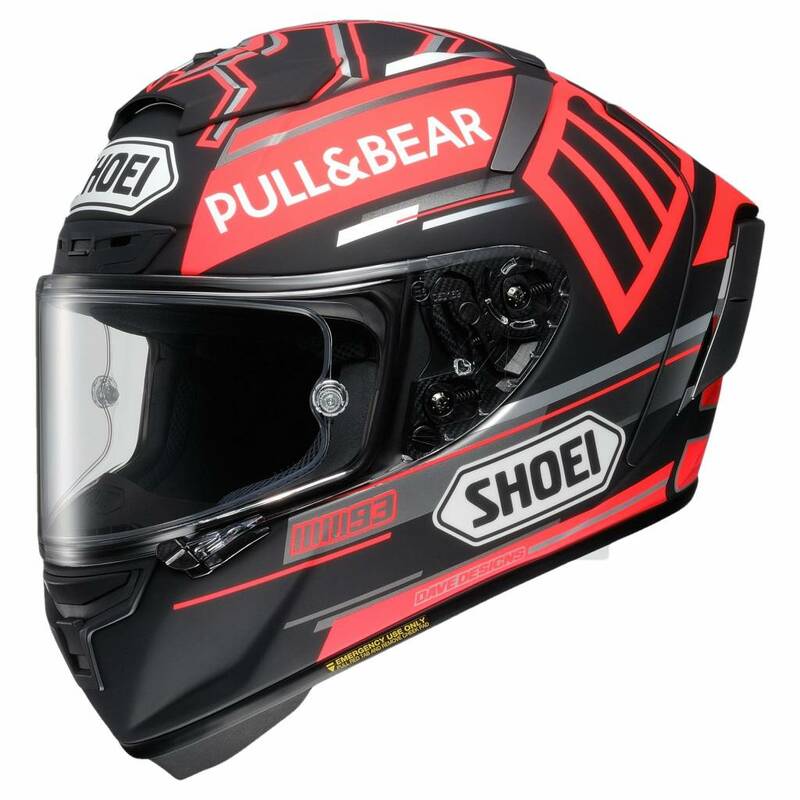 Furthermore, the inner lining is adjustable and because of this the helmet can be tilted up to 4 degrees in relation to the standard position. There are more helmets out there that offer this. But a major difference is the multi level of the inner liner. This not only gives the helmet a comfortable fit, it also adds to the safety . 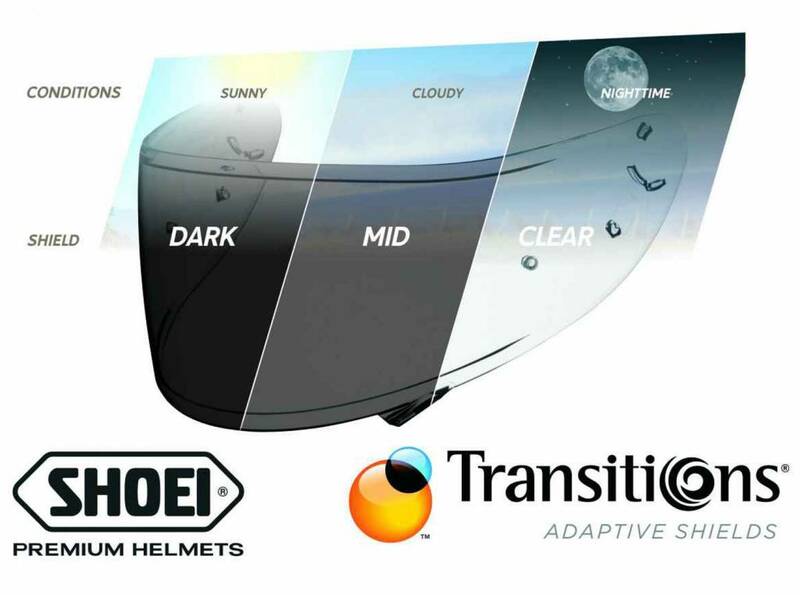 This enables the helmet to absorb different impacts and make it safer. You should really see the exploded view of the x-spirit inner liner to see the difference between the several inner liners.